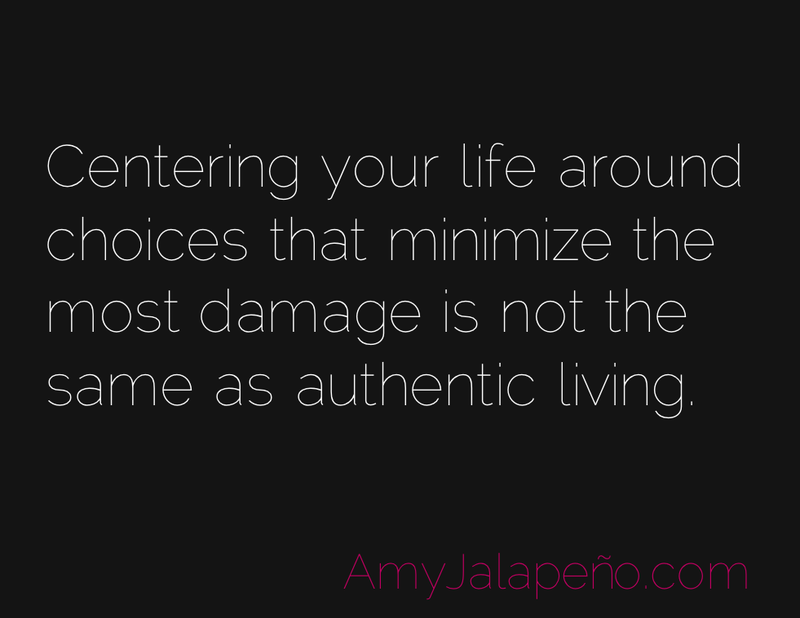 are your choices authentic? (daily hot! quote) – AmyJalapeño! …or living extraordinarily. It is living quite commonly actually and quite like the masses. Extraordinary: very unusual or remarkable (i.e., unlike the masses, unlike what most people are struggling every day to break through, but can’t shatter that glass ceiling.) It takes unusual behavior, even rebellious acts to make an extraordinary and authentic life. And the evidence is in every great person that has succeeded in it. Einstein, Richard Branson, Lady Gaga for example. Loooove it. Are you familiar with Brene Brown? She is my hero and discusses authentic living quite often. here’s to being .real. and the hope that being authentic becomes the norm, not the exception.